‘My name is Minh and I am 38 years old’, says the man sitting across from me. He smiles a broad and bright grin, his teeth white against the deep darkness of the night in the mountain village of Ban Den. I sit with three other girls on the cold concrete floor listening intently as Ajan (teacher) Amnuay, the Thai Lutheran evangelist of the village, translates Min’s story. The only light we have is candlelight. From the shadows some others from the village sit listening. It is cold, very cold, yet Minh seems unaffected. He wears a bright green T-shirt with Luther’s rose printed on the breast pocket. He is excited to share his story. He is proud to be a Christian. 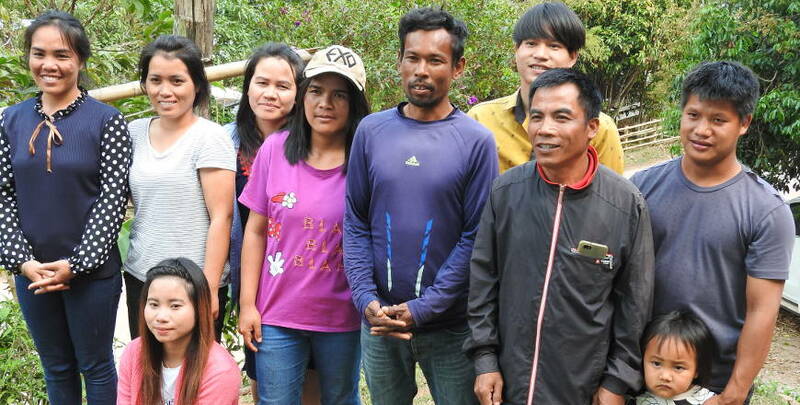 After several months of prayer and preparation, I and seven others from St Mark’s Lutheran Church in Epping, Sydney, are spending five days in the hilltribe village of Ban Den in Nan Province in north-east Thailand. We want to live out our church’s mission statement by actively following Jesus’ command to make disciples of all nations. Flying into Chaing Rai, we had met LCA missionary Pastor Simon Mackenzie before driving to Ban Den the following day. The village of Ban Den is home to around 75 families. Many of the hilltribe villages in the area, including Ban Den, are ethnically Thai Lua. These people are among the poorest in Thailand. They lack easy access to basic medical care and have a literacy rate of merely four per cent. The Thai Lua people are traditionally animist, believing in spiritual beings that must be worshipped and placated. They feel deeply the presence of spirits in their lives. For us Westerners, the deep spirituality of these people can be confronting and a little confusing. Minh’s story was full of evil spirits, heart-break, persecution and persistence; quite simply, it was incredible and deeply moving. Born in the neighbouring village of Hoey Ka, Minh’s childhood involved his family moving to several nearby villages, seeking better land to work. Settling in the high mountain village of Hoi Pako, where they worked hard to prepare the steep slopes for planning mountain rice. It was in Hoi Pako that his older sister began developing strange, crazed behaviour. The family believed that bad spirits were causing this. One day Minh’s sister hung herself. Minh says that not after his sister’s death, evil spirits possessed his older brother. Many times his brother visited a spirit doctor, who tried to drive out the evil spirits, but his condition worsened. On a bright Summer morning, his brother shot himself with a hunting rifle. 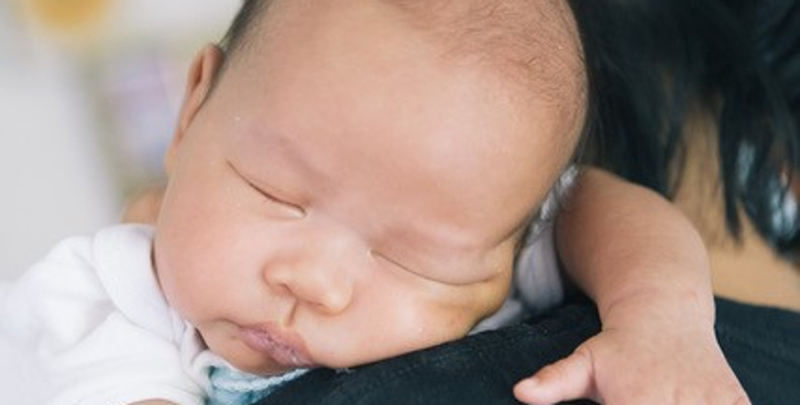 Soon after his death, Minh’s father became seriously ill. The family worried that evil spirits had caused the illness. They took him to hospital many times, but his condition worsened and soon he died. A few weeks later, Minh’s older brother was involved in an accident and he died too. 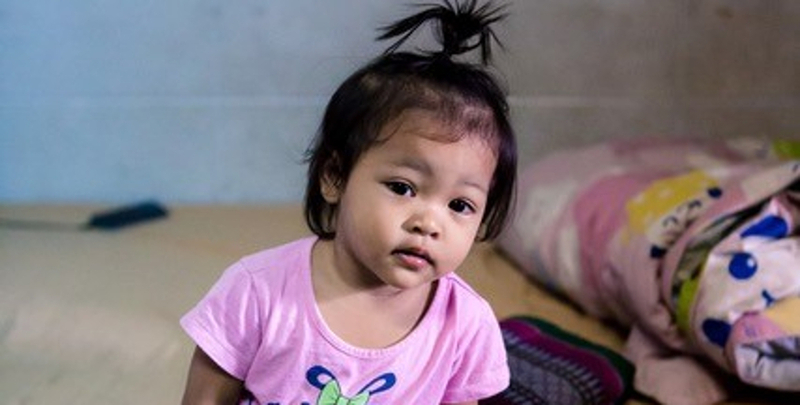 Within months Minh was left, the oldest of three younger siblings. Minh and his brother found jobs as labourers. One day, among the leaves of a tree he was foraging, a snake appeared, frightening Minh and causing him to lose his balance and fall out of the tree. ‘There’s a snake up there. Can’t you see it?’ he shouted. But everyone else stood around, perplexed. There was no snake in the tree. Snakes began to haunt Minh and he grew to be a frightened and anxious young man. His fear became so debilitative that he could not sleep for fear that something would attack him in the night. He saw a doctor many times but nothing helped. Minh’s family was relatively wealthy but suffered terribly due to the children’s disturbing behaviour. Out of desperation, Minh went to Laos to visit an expensive spirit doctor, spending all he had. The spirit doctor said their house spirit who they gave their daily offerings to, was evil. They removed it, as the doctor instructed. ‘Nuon prayed for my brother and he got better. He was no longer crazy. My brother went back to work, and when his boss saw that he was well again he was very happy and went to his house spirit and gave it offerings of food. His boss asked my brother to do the same. He obeyed, and his crazy behaviour returned immediately. A friend took him back to see Nuon but Nuon was not home. Some of Minh’s family members were still worshipping the spirits and gave offerings to them to thank them for Minh’s brother’s recovery. Minh believes that this offering caused him and his other siblings to become possessed again. Minh’s condition deteriorated rapidly and he ran away into the jungle. He outran ten men who tried to chase him and bring him back to the village. In the jungle, Minh hid for weeks, foraging for food to sustain himself. When his family finally found him, he threw rocks at them to keep them away. Finally, he returned home but his insomnia returned. ‘A spirit doctor came to visit me. He cast magic spells on me and my body became very cold, like I was dead. I still couldn’t sleep. I wanted to kill everyone and then kill myself. I hated everything and everyone, so I decided to run away again. Minh’s family had discovered the most powerful being, God. Their family was baptised by the first pastor to come to the area. When Christ’s love and healing entered their lives, they realised their sufferings had been defeated by the most powerful good spirit imaginable. In the past the family had given all they had to the spirits and this had caused them poverty and suffering. Now they could receive Christ’s love and healing, rather than having everything taken from them. But the trouble was not over yet! Minh moved to Ban Den with his wife and children. Not long after Minh moved to Ban Den, the village spirit doctor spread the word that all the Christians would die in three years. The villagers waited and watched, but after three years, Minh remained alive and well. Those three years were a time of intense persecution and faith testing for Minh. As the only Christian in the village, he was ridiculed and scorned. Children threw rocks at him as he walked past. Neighbours taunted and teased him and tried to force him out of the village, as they were worried that his presence would anger the spirits. When people began to realise that being a Christian was not fatal and that Minh’s health was ever improving, they started asking him questions about what Christ could do in their life. They too wanted to know about Christ. Over time, people realised they were receiving nothing from the spirits while Minh was receiving blessing upon blessing from God. The word began spreading like wildfire: God is more powerful than the spirits. God gives rather than takes. ‘And guess what?’ Minh asks as he concludes his story, ‘The people who once threw rocks and told me to leave were now Christians.’ A smile breaks across his face as he knows the pure joy of making disciples of all nations. During the thirteen years that Minh has living in Ban Den, about 67 of 75 families have become Christians. Each Saturday Minh travels to the villages of Hoi Pako and Hoi Mei to conduct church services. He has gained the name of Khun Minh (Mr Minh), a title reserved for only the most highly respected members of the community. Fifteen years ago, Christianity was virtually unheard of in the region. People feared this region. Now there are more than 800 church members in the six small villages around Ban Den. On the day we worshipped at Hoey Torn, there were 14 baptisms, including a doctor spirit. It was incredibly powerful to see the joy of Christ spreading rapidly in Northern Thailand. There are many neighbouring villages that are desperate for someone to minister to them permanently. The small team of Simon and Oiy Mackenzie, Amnuay and Tawee look after 800 members in a rough and treacherous environment. The exciting news is Minh and 5 others are training as evangelists at Bangkok’s Lutheran seminary. We praise God for their faith and their eagerness to serve God with their lives. 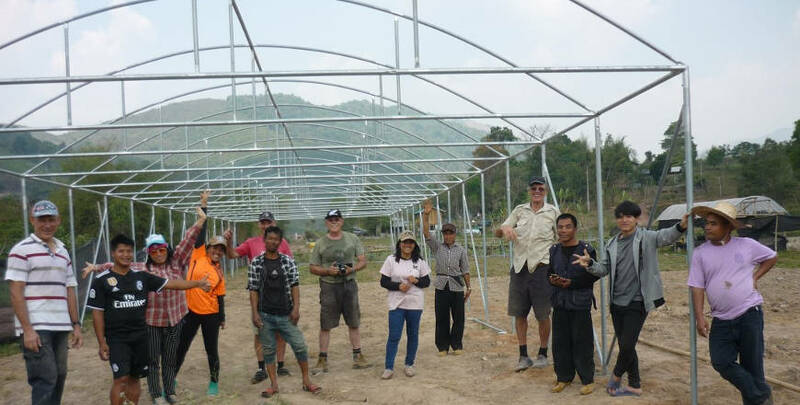 Our team from St. Mark’s, Epping learnt a lot from Minh and the people of Ban Den, particularly the way they showed Christ’s love through everyday service and simple acts. This community served out of love and with joy and generosity. We all felt Christ’s love in Ban Den and realised that shining with Christ’s love is as simple as joyfully preparing food or cleaning up for others. We too can demonstrate Christ’s love in a powerful way that will touch the lives of others; we just need to remember how much Christ loved us. This story was also published in the April 2010 edition of Border Crossings, the magazine of LCA International Mission.